As the days are getting colder and the evenings are getting darker, it’s not only harder to get out of bed in the morning, hello Monday. But it can be quite the struggle to stay awake past hometime. So with that said I’ve put together a few ways to help fight the fatigue this Autumn. Do you ever feel your legs getting tired at the end of the day? I know mine do. Which is why I am loving Scholl’s new Light Legs, black compression tights from Scholl designed to aid that feeling of leaden feeling legs. Light Legs have an exclusive Fibre Firm technology scientifically proven to reduce tiredness and heaviness in legs by boosting your circulation, with targeted pressure from the ankle upwards. I really love wearing these tights as they are so soft and are also 60 denier, so they are a great option to wear this Autumn to make sure you stay warm whilst still looking stylish. Not only do they help tired legs, but they tighten and shape legs for a more slender appearance and last up to 100 washes. Make sure you stay hydrated throughout the day by drinking enough water as well as regular meals. Start the day with a hearty breakfast and make sure you have lunch. Too many people skip lunch at work and this can drain you throughout the day. Snack on nuts too, like cashews and hazelnuts, as these can give you an energy boost and help fight the fatigue. If in London be sure to carry a bottle of water on the tube as even in Autumn/Winter it can get hot down there, especially in your wooly jumpers. Go through your handbag and take out anything you don’t need to be carrying around, you will be surprised how much lighter your bag becomes. Most handbags these days weigh quite a bit on their own, never mind when we add all our bits and pieces. This can put a strain on your shoulder and can really cause you to be fatigued throughout the day with the shoulder pain. It sounds quite silly, but I bet if you ask someone nicely to massage that area where you carry your bag it will feel a little tender. Music can be known to lift your mood. So in between meetings and emails, pop on some music, put on your headphones and zone out a little. This should help you relax and destress. Stress is one of the main factors of feeling fatigued so try to stay as calm as possible. Take deep breaths and have a much-needed musical time out. Also if you are heading out for the evening it will help to get you in the mood and not reach for the phone to text to say you’re not going. One of the main trends for AW16 is sequins. Whether you love or hate them, I know they instantly lift my mood, I popped this Boohoo bomber jacket on for a day to-night look and I know wearing it will instantly make me feel happy and have me feeling more excited and energetic for the day ahead. 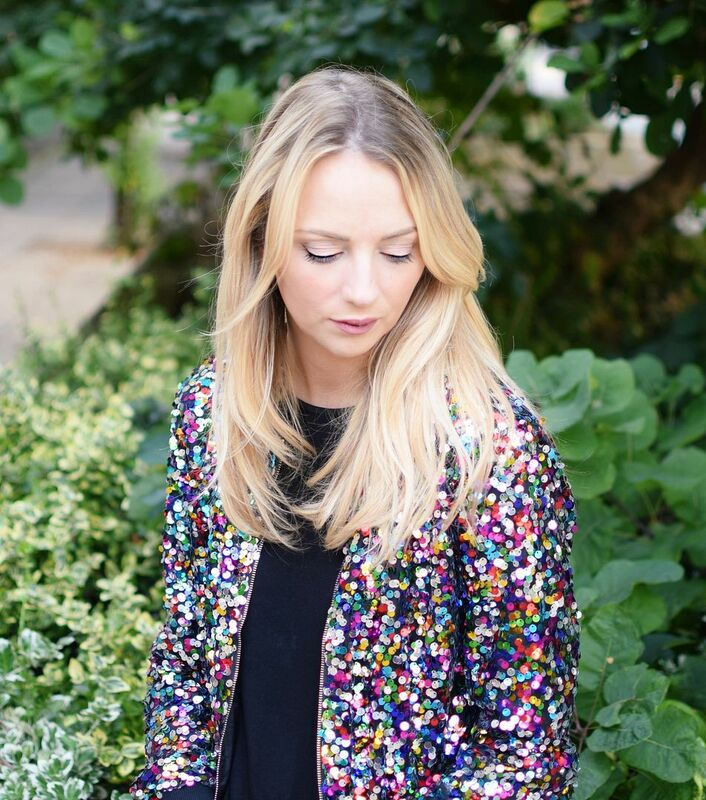 If you are unsure how to wear sequins for day then pop over to my Pinterest board for plenty inspiration. You can add just little touches such as a sequin polo neck under a jumper or team a sequin skirt with a band t-shirt for a very on trend look. This post was sponsored by Scholl, all views & opinions are my own. I think healthy nutrition is so important to feel more energised! Your bomber is amazing!